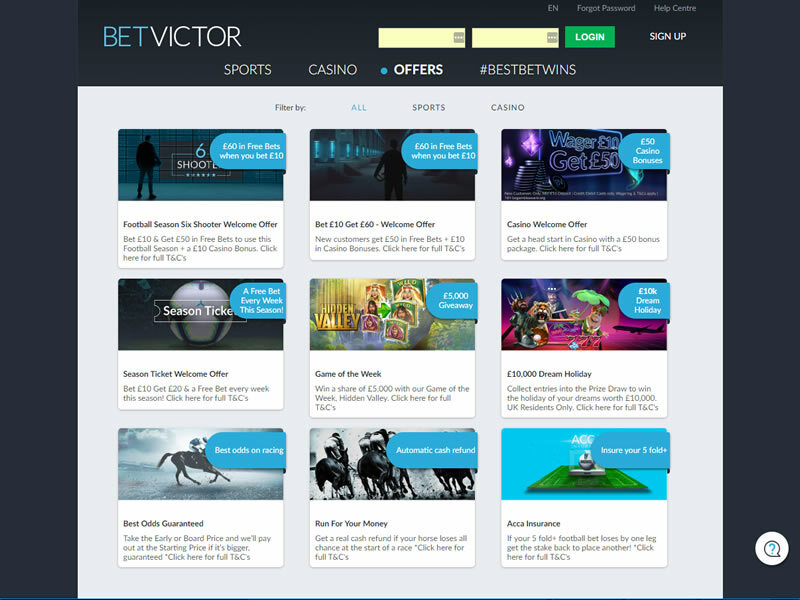 BetVictor Casino saw a redesign in 2016 that simplified its casino pages and brought the design in line with its sportsbook and poker offerings. Rather than being split into Casino, Slots & Games, everything is gathered under one Portal and that can only be a positive, user-friendly move. With a vast array of table and slot games BetVictor Casino makes for an enjoyable gaming experience. BetVictor have made several important changes to the casino to attract a wider audience base. It has improved software, increased game selection and excellent customer support provided through its live call centre. From classic roulette & Blackjack to the latest casino games and slots, players have a huge choice of games at BetVictor casino, which today caters to players in 160 countries. 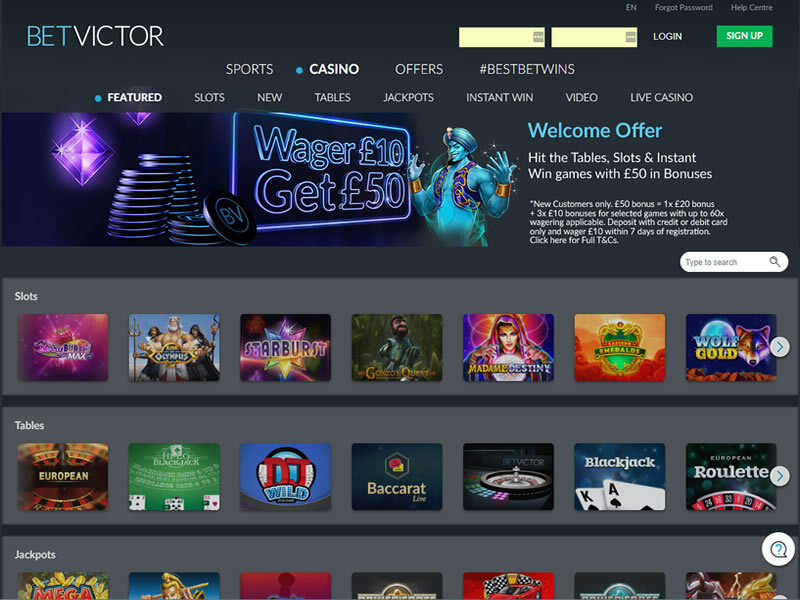 BetVictor Casino, which may be played on either a PC or Mac, as well as on mobile devices, provides gamblers with an array of table games, slots, and video poker machines. Progressives include Mega Moolah, The Dark Knight, and Arabian Knights. Play one-hand, Jacks or Better video poker or enjoy the 50-hand version of this popular game. There are over 24 video poker games from which to choose. 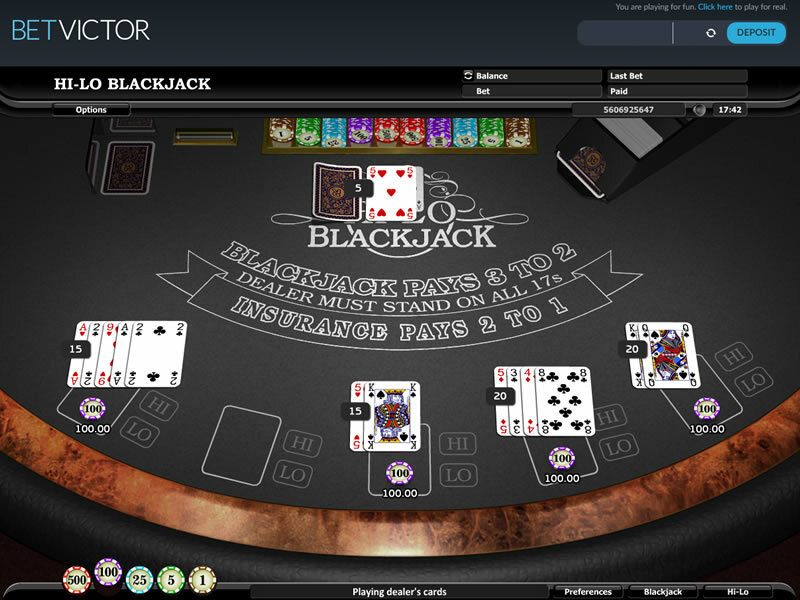 You can play at BetVictor Casino on iPhone, iPad and Android devices either through the browser or the dedicated app. There are far fewer games than on desktop, which you would expect, but you will still find a good selection. 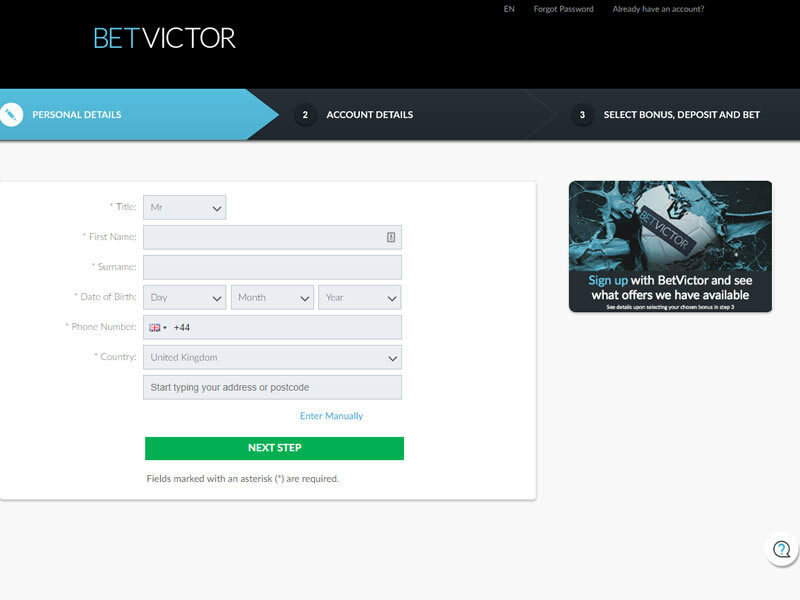 The BetVictor Live Dealer software is responsive and uncomplicated. They make it very easy for players to enjoy a session at one of their live casinos. Their dealers are very engaging and friendly, which is a hallmark of any good live online casino experience. Play tends to be brisk at BetVictor’s live sites and players have a range of choices in terms of how they view the betting table and dealer. Table game players, again, face games from several software providers. 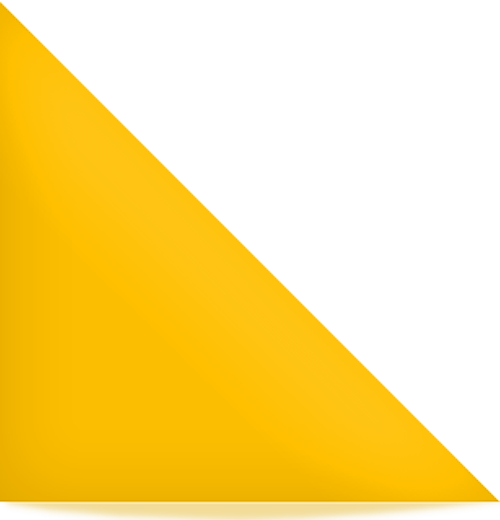 As such, there are many variants of each kind of game. Whether you like blackjack, roulette, or casino pokers, as well as other specialty games, you’ll inevitably find your ideal variant at BetVictor Casino. I’d probably say that if you are a big IGT slots fan then you will find a better choice at Grosvenor or Leo Vegas. Mainly for the variation in recognisable slots that they have and their reasonably fast cash out policy I do like BetVictor. Also, they have an intuitive single-wallet banking backend that allows you to switch funds between casino, poker and sports really easily, plus deposit and withdrawal options are nice and varied too. New Customers only. Deposit and wager £10 within 7 days of opening new account. £50 bonus = 1x £20 bonus and 3x £10 bonuses for selected games. Up to 60x wagering applicable. Bonuses expire 3 days after crediting. Credit and Debit cards only. Geographical Restrictions and T&Cs Apply, see below. Please Gamble Responsibly. Further T&Cs Apply.